Is there any way other then the Amain store to get the waterproof foam anymore? I'm on the east coast and am now out of the nice foam board which I ordered before the store merger. I can't bring myself to pay $45 shipping for a $90 box of foam. Some hobbytown USA stores carry it, they also sell it online, I don’t know about shipping though. I got excited until I checked the footer of Hobbytown's website, turns out they are also run by Amain, and the shipping is the same cost. $34 to have them ship it to my nearest store, who doesn't have any in stock. I'll try contacting them and see if they can get some. I felt the same way, very shocked at the shipping costs. I even went so far as to build a Sig four star electric, I know that will hold up a long time. I use the white board as well, I just don't spend the time on finishing as I used to. I used the white for a long time and for any plane I did not expect to last, but for complex builds I want to last a while it always felt better making it from the wp foam. Looks like Im back to making everything from the white board. I just wish they would make it with a black foam core! If you roll the exposed edges of the foam with a iron the core colour doesn’t matter. Woah, let me ask as to why do you need the FT stuff? I use clear spray sealer and put on two LIGHT coats after the parts are cut out and it'll be water resistant. I have found that the spray stuff protects against dew and light amounts of liquid. If your gonna fly off a pond just use oil based minwax. I use a paper towel and glove and wipe it on. They do make a spray minwax but no store near me has it and it's $10+ online. Water will bead up and run right off with oil based minwax just like a rainx'ed windshield. But if you just want some water resistance for dew and damp weather, a clear spray paint sealer will work good enough. 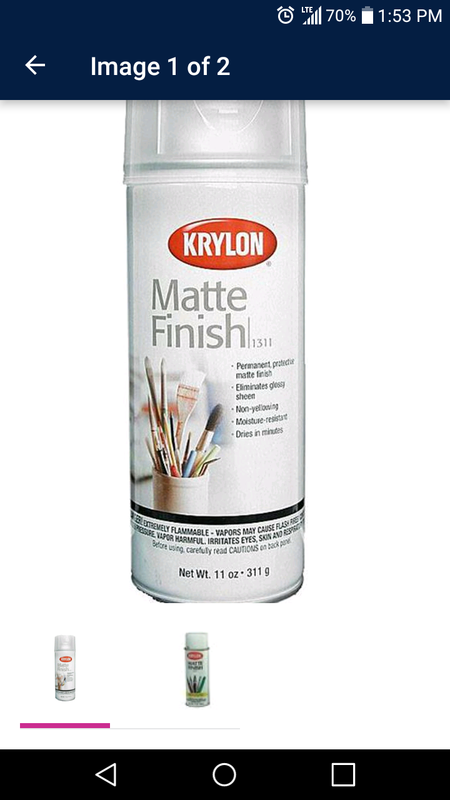 Dries in minutes, easy to use, cheap and available everywhere spray paint is sold, and works as a great base to keep the foam from soaking up too much paint and delaminating. Seal your edges with some hot glue or an iron and it'll last almost as long as your store bought planes. WARNING - These spray sealers will soak into the paper delaminating it if you spray thick coats. Spray 2-3 LIGHT coats. If you spray before you build by the time your on your last part your first part will be dry enough to do the 2nd coat. Try testing it on some scrap parts first, get your technique down pat before you do actual parts. Feel free to test your tests in a sink. Works surprisingly well. Edit : This is what I use. Found it at Walmart for $4. Originally I bought it to support FT, as I have my mpcnc to cut my parts, so I have no need for speed build kits. But at this point, the shipping is crazy and who knows how much of that they even get from Amain. Thanks buddy will be looking for this . Iono about OP, but I kinda need FT's foamboard because of my choice in power systems. Glow fuel is horrible about ruinating the cheap DTFB, but someting about what Adams and FT came up with for FT's specific stuff makes the brown foamboard almost impervious to fuel. I've found Rustoleum paint works well on them(And I've even caught FT themselves using this exact paint a time or two! ), just for extra peace of mind. FT water resistant foamboard is stocked at my LHS, but it costs two bucks per sheet so I have only used it for one plane. That's....cheaper than my local source of DTFB. Which is WM. They want about $2.50/sheet for the generic stuff, Elmer's brand, and damn near $4/sheet for some super skookum Ghostline brand DTFB that is all but impossible to delaminate even if you want to. I bought 9 sheets of black foam core board at Wal Mart about a week ago. 1/4" x 20" x 30". @JennyC6 , @Jerry_C careful with the Walmart Elmer's board. The black core stuff is a lot stronger, yes, but it's also almost twice the weight of the DTFB. If you're going for a lightweight build, some Walmart stores stock a foam board branded "Ross". This stuff is basically equivalent to the DTFB. The Elmer's board has it's niche, but I made the mistake way back when thinking it was the right material to use for all planes and couldn't figure out why my stuff was so overweight. I've got a sheet of the black Elmer's stuff sitting here right now. Wasn't sure what I was gonna do with it. Sounds like it might be a good basis for a speed-oriented plane, or perhaps one that's better suited to punching through wind? Hmm, or maybe surface stuff, been pondering making a faux canvas box for my CA-10 scale truck out of it.